Today's Win It Wednesday prize might look familiar. 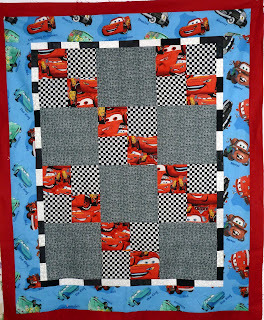 On Day 394 (yeah, that was in March) I finished up a Cars quilt top for charity. Guess who never got around to finishing it? 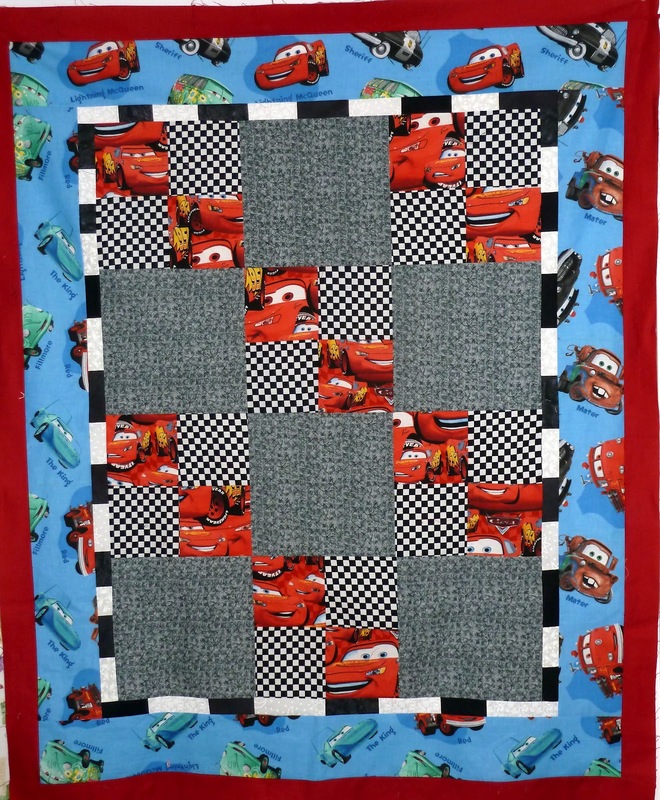 My plan was to applique either tires or road signs in the darker gray blocks but it never happened - didn't even pick out fabric for the appliques. I've moved on to other charity quilts, ramping things up to get several out the door by July 1. Any takers? It's approximately 39" x 46". While I would love it if you finished it up and gave it to charity, you certainly could either give it to someone you know or keep it for yourself. I'd love to see a picture of the finished product no matter what, though! 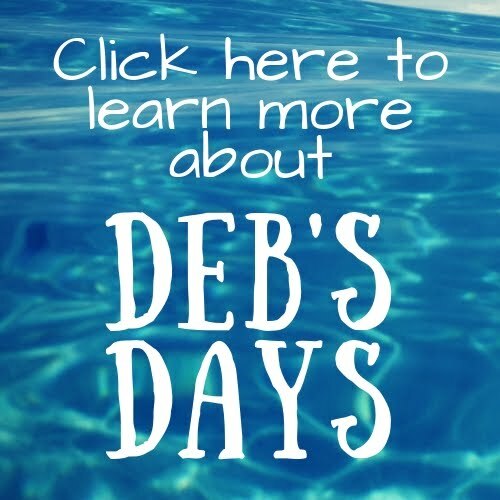 If you're interested leave a comment on this post. If more than one person wants it, I'll choose a winner on Friday.